Here’s a positive bird story. Despite constantly losing roosting areas around Kota Kinabalu, the Rufous (Nankeen) Night Heron Nycticorax caledonicus is still seen in different open areas at nightfall. By day the birds roost in colonies in the most unlikely of places. 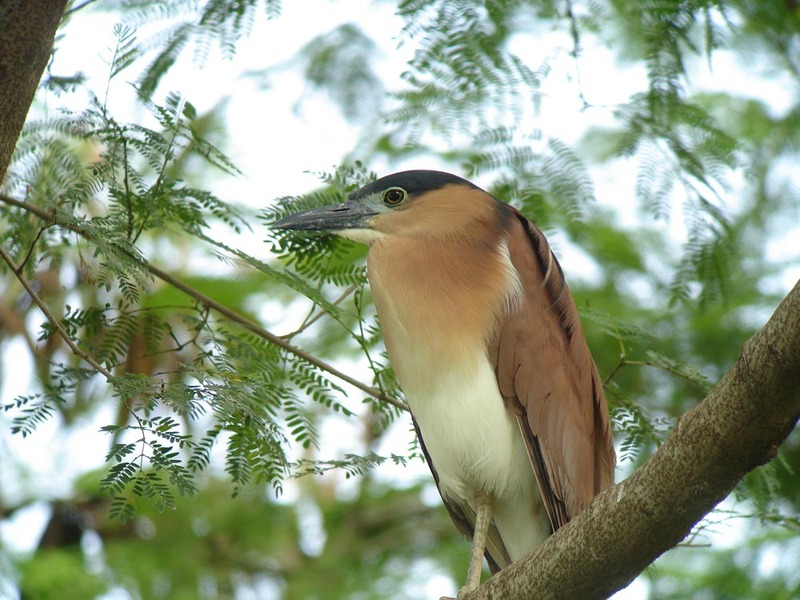 This bird was seen in a colony of Rufous and Black-crowned Night Herons in a small group of trees in a well populated area and next to a busy road. For sure, they are not as scarce as previous reports have put them to be.